Samina’s experience of the ceremony! 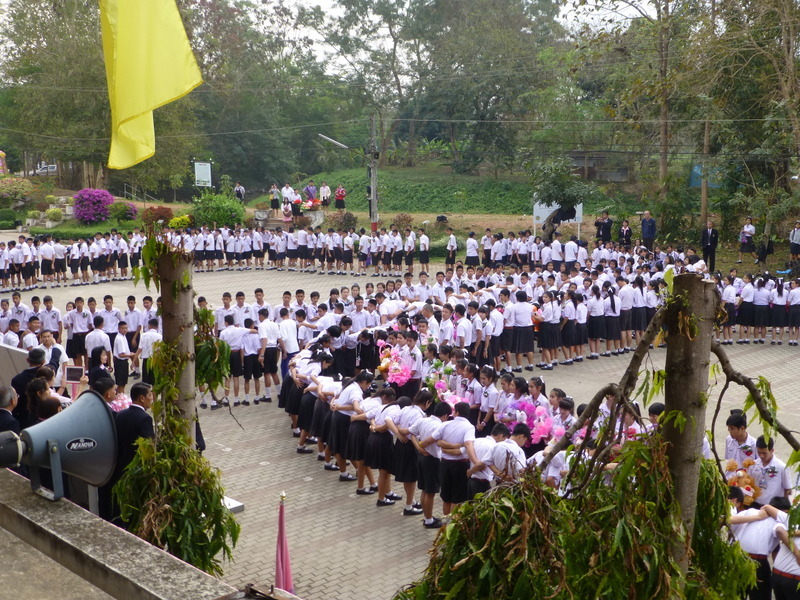 There is a lot of building excitement in the Chiang Rai center as we are moving ever closer to the end of the school year. This means a very long summer break and a chance for the children to go back to their village. 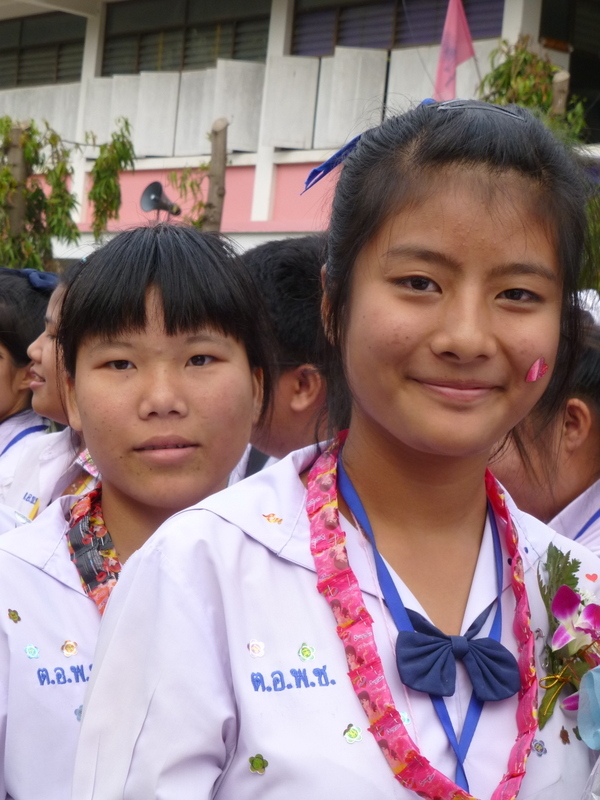 However before all of that happens there is the ending of school and today we have just returned from witnessing a parade and ritual to mark the graduation for some of the children from school. Lora and I were instructed to attend and to bring flowers. Once we arrived we understood why we needed the flowers. All of the children parade and form parallel lines through which the departing children are given “gifts” these range from sweets, cuddly toys to many many flowers. 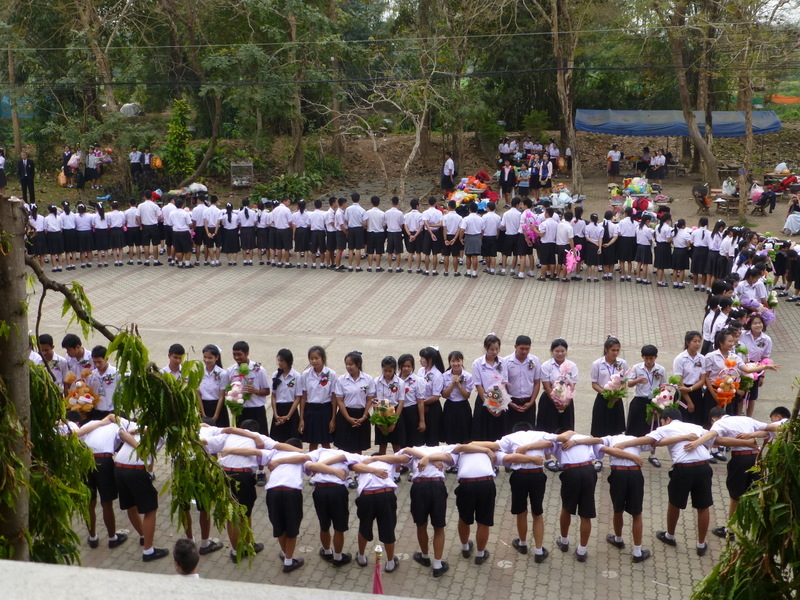 It was great to witness and to see another Thai tradition up first hand. Our children were pleased to see us and we were also delighted to learn that Jira has been selected to perform at an English speaking competition in the next school year. We are very proud of her and can’t wait to begin coaching her for the event- it’s lucky for her that she has so many native English speakers around. Watch this space!! Previous: Previous post: Connect with us on Facebook and Twitter! !